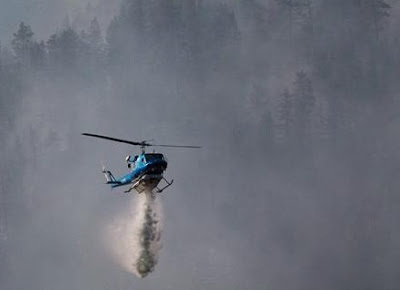 The first water-dropping helicopter was en route to a fast-moving forest fire in British Columbia's Okanagan Valley nearly half an hour after it was first reported, according to a timeline compiled by the provincial government, which says an initial review has found the response was fast and well co-ordinated. The fire started in high winds just outside of Peachland on Sept. 9, causing 1,500 residents to flee and destroying four houses. Newly released audio recordings of RCMP radio dispatches detailed the initial response, as Mounties on the ground called for help and at times appeared frustrated that firefighters were not on the scene sooner. But the B.C. Forests Ministry says although its review largely confirmed the account gleaned from the audio recordings, it also indicates the response by provincial firefighters was appropriate in the circumstances. "An initial review by all responding agencies shows an excellent co-ordinated response. The ministry has received numerous compliments for its fast response to this fire," the ministry said in a fact sheet released this week. "Given the aggressive behaviour of this wildfire, public and first responder safety was of paramount importance. No injuries were reported during this incident." The fire was first reported at 2:55 p.m. on Sunday, Sept. 9, and emergency officials quickly confirmed it was just outside the jurisdiction of Peachland's volunteer fire department, leaving the initial response to the provincial wildfire management branch. A forest officer was in a truck driving to the scene by 3:10, according to the ministry timeline. By 3:22, about 27 minutes after the fire was first reported, the first water-dropping helicopter was in the air and en route. The chopper's travel time to the fire was estimated to be about five minutes. At roughly the same time, a duty officer with the Peachland Fire Department responded. The forest officer requested Peachland's help at 3:27, and the two vehicles from the department were dispatched within minutes. The first Peachland Fire Department member was on the scene at 3:34, according to the ministry — 39 minutes after the fire was first reported. Meanwhile, the fire was growing rapidly in strong winds.. The fire moved one kilometre in just half an hour — or 33 metres every minute, according to the ministry fact sheet. At one point, sparks and embers capable of starting smaller fires — a process known as spotting — were being carried up to 500 metres ahead of the main fire. At 3:59 p.m., a bird-dog plane, which makes observations and directs air tankers carrying fire retardant, flew overhead. An air tanker dropped the first load of fire retardant at 4:16, according to the ministry. The ministry said it would also conduct a full review into the response, as it does with all significant fires. Neither the provincial wildfire management branch nor the Peachland Fire Department have targets for response times. The Forests Ministry said such guidelines aren't practical for provincial firefighters because of the size of the province. Instead, the ministry noted 92 per cent of all wildfires are contained before they reach four hectares. The Peachland Fire Department, which required a request from the province before leaving its own boundaries, also said response time targets don't make sense, because response times often depend on where volunteers are when a fire breaks out and how quickly they can reach the fire hall before responding. The ministry fact sheet noted the wildfire management branch has an agreement with Emergency Management B.C. to co-ordinate responses when fires are near populated areas. In such cases, a response that involves multiple agencies is handled through a "unified command structure," which was put into action in the Peachland fire. The ministry noted that agreement allows municipal fire departments to respond to fires outside of their jurisdiction if requested by the wildfire management branch. The Peachland fire started about two kilometres up the road from the end of the Peachland Fire Department's jurisdiction. Elsie Lemke, chief administrative officer with the District of Peachland, said a major issue in such cases is insurance, including personal and corporate liability and workers' compensation. "We're covered for responding to fires or other emergencies within our boundaries," said Lemke. "The only time we're covered to go outside out boundaries is when we're called by the appropriate organization that has the right to request us or when a neighbouring community calls and asks for our help when it's under a mutual aid (agreement)." There are a number of homes and acreages along the road between the district and where the fire started, near a park on the side of Highway 97C. Lemke noted in 2010 the Regional District of Central Okanagan planned to explore the possibility of funding fire protection in the valley. When the regional district asked the province for help in paying for such a study, the government said its grant funding had been used up for the year. Lemke said Peachland has not heard anything further about the issue since then. "Virgin birth" among animals may not be a rare, last-resort, save-the-species stopgap after all. For the first time, animal mothers, specifically pit vipers, have been discovered spawning fatherless offspring in the wild. More to the point, the snakes did so even when perfectly good males were around. Among vertebrate animals that normally reproduce sexually, virlgin birth, or parthenogenesis, had been observed in only captive female snakes, Komodo dragons, birds, and sharks. Until now it's been considered an evolutionary novelty, albeit one that made a sort of sense—a way for a bloodline to continue in the absence of suitable fathers. For the study behind the find, published in this week's issue of the journal Biology Letters, a team led by biologist Warren Booth of the University of Tulsa in Oklahoma captured pregnant copperhead and cottonmouth (see picture) females from fields where males were present. When the snakes gave birth, the researchers documented the physical and genetic characteristics of the litters. Tests showed that 1 of the 22 copperhead mothers had given birth parthenogenetically, as had 1 of the 37 cottonmouth snakes collected—a ratio Booth finds surprisingly high. 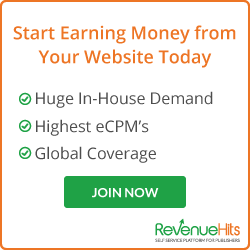 "The fact that we find it in such small sample sizes is quite remarkable," Booth said. "What we're going to do now is go back to these populations and do sampling year-to-year to see if we can find instances of parthenogenesis again." Why would female snakes undergo parthenogenesis when males are available? One possibility: It might have been the only way they could reproduce. Booth noted that the copperhead that underwent parthenogenesis was smaller than usual—and perhaps passed over by males in favor of fitter females. Other scientists have suggested that parthenogenesis is a kind of random reproductive mistake. Booth himself is investigating the possibility that a bacteria or virus is the trigger. Another mystery: Each of the two virgin-birth litters consisted of a single snake. 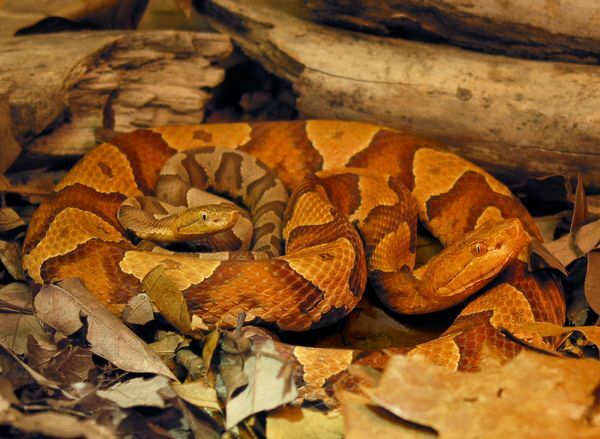 A normal copperhead litter might number between 6 and 9, while cottonmouths can spawn up to 20 offspring. Also, the two virgin-birth baby snakes were both male. That might just seem like the luck of the draw, except that every known parthenogenetic snake offspring has been male—a certifiable scientific mystery. "It would be interesting to see if we can find females," Booth said. "There's no reason realistically why we shouldn't find females, but in all of the [snake] species that we've looked at ... they've all been males." It's also unknown whether animals born by parthenogenesis can reproduce normally or have virgin births themselves. Parthenogenetic offspring often exhibit abnormalities or die early. That shouldn't surprise anyone, Booth said, since it's essentially "a severe form of inbreeding." A virgin birth occurs when a polar body—a cell produced along with the egg—essentially functions like a sperm and "fertilizes" the egg. As a result, the DNA of a virgin-birth offspring, or "parthenogen," doesn't perfectly match that of its parent—the offspring is a sort of half clone. So far, parthenogenesis has only been observed among sharks, reptiles, and birds (which are closely related to reptiles). Mammals aren't thought to be capable of parthenogenesis, because their reproduction requires copies of genes from both parents. "So no human parthenogenesis anytime soon," said Stony Brook University marine biologist Demian Chapman, who discovered virgin birth among blacktip sharks. All species are vulnerable to potential attacks - from ecologically vital oaks to non-native ornamental species, such as lawson cypresses. The biggest risk, it warns, comes from non-native organisms, which - in their natural range - are kept in check by natural predators and environmental conditions. However, if they are able to become established in the UK's natural environment then there are often no natural controls to curb their spread, resulting in a potentially devastating impact on the landscape. In October 2011, UK Environment Secretary Caroline Spelman launched the Tree Health and Plant Biosecurity Action Plan, warning that millions of trees could be lost in the next few years unless urgent action was taken. The Commission recently published biosecurity guidance, offering advice on steps that can be taken to avoid accidentally spreading damaging organisms on clothes, footwear, vehicles, etc. "The fact that we are an island has helped us, because we are fairly impoverished compared with the European mainland," explained Hugh Evans, head of Forest Research in Wales. "So even the 20 miles of water is enough to protect us from the pests that are quite dangerous on the mainland." But our relative isolation has come at a cost, he warned. "If pests do get through, then they arrive without the spectrum of natural enemies and that is one element that can make the effect within the arrival country much worse than in the country of origin." Richard McIntosh from Food and Environment Research Agency (Fera) says the growing volume of international trade is one reason for concern. "Trade is becoming increasingly global, and there is an ever-widening diversity of plants and plant material being traded around the world," he told BBC News. "There are examples of where pests or pathogens have been introduced, and it is very difficult to respond to them once they are within the EU. "Prevention is much better than cure but identifying all of the risks is not always the easiest thing to do." Probably the most widely publicised pathogen is Phytophthora ramorum, a fungal organism which was suspected of being introduced to these shores via the plant trade. 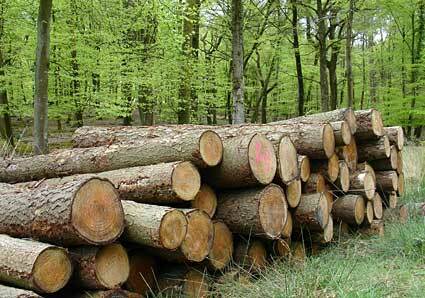 There is no treatment; infected trees have to be felled and removed from the natural environment. Although it had been present at low levels in the UK for a number of years, in 2009 there was a sudden change in the pathogen's behaviour. It was recorded infecting and killing the commercially important Japanese larch trees in South-West England. It was the first time in the world that P. ramorum had been found on a species of conifer. It has since been recorded affecting larch trees at sites in all four UK nations. John Morgan, head of the Forestry Commission's Plant Health Service observed: "We are still are pursuing a policy of reducing the level of the disease so then it does not spread further. "If, over a number of years of felling, we can reduce its spread we can then preserve what we have left in terms of larch in forests." Dr Morgan added that the disease would not be eradicated: "Once something like that is established then we are purely looking at a policy of containment. "P. ramorum is definitely in the realms of containment strategies. By the time it was discovered in larches, it was too late." Experts say the symptoms to look out for on larch trees include dead and rtipaally flushed trees present in groups, patches or distributed throughout a stand. An affected tree's crown and branches die back, and there is a distinctive yellowing or ginger colour beneath the bark. Another pest that was introduced to the UK as a result of human activity was the great spruce bark beetle. "It clearly came into this country via wood that had not been debarked properly," said Prof Evans. "What was interesting - and I think this is [a] somewhat typical story - is that although we found it in 1982, our subsequent research found that it had been in the country at least 10 years prior to that." The beetle breeds under the bark and destroys the cambium (a layer of growing tissue that produces new cells to carry water, sugars and nutrients around the tree). This weakens the tree, and in most extreme cases, the damage can kill the tree. As part of their research, Prof Evans said scientists quickly identified a possible "bio-control" option. They introduced a natural predator - another species of beetle called Rhizophagus grandis. "We were able to bring that beetle in to the country; we got the very first licence for the release of a non-native species under the Wildlife and Countryside Act. "It proved to be incredibly successful," he told BBC News. "[The great spruce bark beetle] did kill quite a few trees, but after the predator was introduced and we continued to monitor it for a few years, its population has dropped to a relatively low level. It is still spreading, but the predator seems to be following it." Dr Morgan said UK control measures involved four stages. "We try to prevent pest and diseases entering the country; then, if they have arrived, we switch to a policy of eradication to try and stop them becoming established," he said. "If they do become established then we try and follow a policy of containment which is to try and slow or stop the spread of the pest. Finally, if all previous three efforts have failed then we operate a way that we can live with the particular pest or disease." There are a number of ways that scientists are able track the global or regional spread of a pest or pathogen, such as the EU Plant Health Directive that requires nations to report new outbreaks or new pathogens. Another way data is shared among researchers is via bodies such as the European Mediterranean Plant Protection Organization and the International Plant Protection Convention. "Both of these organisations have notification systems where countries are able to report developments that might be of wider interest," revealed Fera's Richard McIntosh. "We monitor that sort of intelligence, together with information that might be coming out via publications, and also what we are finding - such as what we are intercepting at the national borders." Mr McIntosh said this information is used to produce a document known as a Pest Risk Analysis (PRA), which looks at the risks, possible impacts and control of each organism within a UK context. 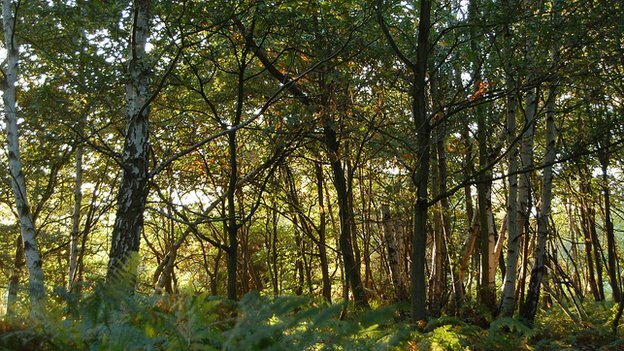 Andrew Sharkey, head of woodland management for the Woodland Trust, said the impact of pests and diseases often had ramifications that were felt beyond the individual trees that were infected. "Two of our sites have been affect by [Phytophthora ramorum]... so we had to fell the larch on those sites," he said. "We are comfortable with this because it is good practice but it means that it has disrupted all of the site plans for those sites. "The larches on one of the sites were on what we call 'planted ancient woodlands', which we were trying to restore back to native woodlands. "This has an immediate impact on our biodiversity work and planning work." In 2011, Natural England's Keith Kirby warned that the future well-being of the UK's oak trees was at a crossroads because of the potential threat from a disease known as Acute Oak Decline (AOD), which experts warned could be as devastating to the treescape as Dutch elm disease. Dr Kirby told BBC News that research was helping shed more light on dynamics of the mysterious disease. "We are becoming more and more certain that it is basically a bacterial issue, and a beetle is involved in its spread. It appears that the problem is also exacerbated if the tree is under stress," he said. "But we are not that much further along in terms of knowing exactly how abundant or widespread it is. "At the moment, it does not look as if it has gone beyond the East Midlands and southern England area, where most of the records have come from." 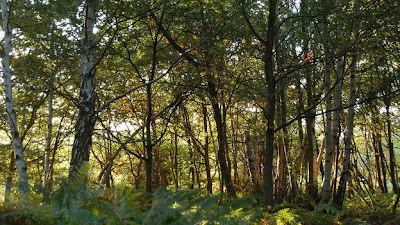 As one of the UK's leading woodland ecologists, Dr Kirby said people had to be philosophical about the fact that the composition of woodlands were going to change. "We cannot attempt to maintain the mixtures that existed in the past," he observed. "We have to accept that there will be change, and manage the dynamic situation. "If you have got a changing environment, you cannot expect the communities and assemblages of species of past environments to survive." Australia plans to link its carbon trading scheme with the EU's, enabling firms to use European permits from mid-2015 to emit carbon dioxide (CO2). The EU's carbon market is the world's largest and the deal is being seen as a significant step towards cutting greenhouse gas emissions globally. The aim is to have the Australian and EU schemes fully linked from July 2018. Australia is the developed world's highest CO2 emitter per head of population. It now taxes big polluters. The carbon tax introduced in Australia last month has triggered fierce opposition. It forces about 300 of the worst-polluting firms to pay a levy of A$23 (£15; $24) for every tonne of greenhouse gases they produce. The EU Commissioner for Climate Action, Connie Hedegaard, said "we now look forward to the first full international linking of emission trading systems". "It is further evidence of strong international co-operation on climate change and will build further momentum towards establishing a robust international carbon market," she said on Tuesday. The deal with the EU aims to give Australian firms more options for meeting their CO2 reduction targets. That could dilute criticism of the government over the carbon tax, which opponents say puts Australian firms at a disadvantage internationally. Both the Australian and EU carbon schemes are based on cap-and-trade - they set emission caps for the biggest polluters, forcing them to buy permits if they want to go above their emission targets. The greenest firms can sell any surplus permits to heavy polluters, creating a financial incentive for industry and power generators to cut emissions. Each EU carbon permit currently trades at about eight euros (£6; $10) per tonne. 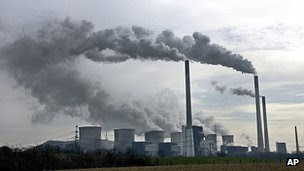 The EU's carbon market had a turnover of some 90bn euros in 2010, the Euractiv news website reports. As part of the plan to link up with Europe, Australia will scrap a carbon floor price of 12.4 euros per tonne that it was going to introduce in July 2015. That would have made carbon permits more expensive in Australia than in Europe. The 300 firms in Australia's scheme can meet up to half of their carbon targets through internationally approved green projects in developing countries. But in future the maximum will be only 12.5% for UN-certified carbon offsets - green projects that come under the Kyoto Protocol. Australia's Climate Change Minister Greg Combet said linking the Australian and EU systems "reaffirms that carbon markets are the prime vehicle for tackling climate change and the most efficient means of achieving emissions reductions". He added that Australian firms would now be able to buy EU permits in advance of trading them in 2015. First of all, we at Greenomics Indonesia would like to express our appreciation to Chris Lang (REDD-­Monitor) for posing important questions arising from Greenomics Indonesia reports to Scott Poynton (Executive Director of TFT) in an interview that was carried by redd-monitor.org on 23 August 2012. The questions put by Chris Lang are key questions based on Greenomics Indonesia reports on the agreement between TFT and GAR. Chris Lang provided space in REDD-Monitor for Greenomics Indonesia’s views when we strongly criticized the collaboration between TFT and GAR. We are thankful therefore for the support that has been provided by Chris Lang and REDD-Monitor. Greenomics Indonesia now feels called upon to respond to the points raised by Scott Poynton in the said his constructive and productive comments on the Greenomics Indonesia reports, particularly the report of our investigation into the first year of operation of the collaboration agreement between TFT-­GAR in respect of three GAR concessions in West Kalimantan Province. In Greenomics Indonesia’s view, the points set out herein need to be raised for the purpose of clarifying what was said in the interview. The criticism levied by Greenomics Indonesia against the TFT-­GAR Agreement is not based on antipathy on the part of Greenomics Indonesia to the agreement, but rather the need to have regard to a report by the Indonesian State Audit Board stating that the greater part of GAR palm concessions in Central Kalimantan Province are located in areas that are legally designated as forestland. Greenomics Indonesia’s criticism is therefore not based on the perceptions, or indeed prejudice, on the part of our organization, but rather on an audit report issued by the Indonesian State Audit Board. We also need to avail of this opportunity to update TFT and Greenpeace about the latest report from the Indonesian State Audit Board (2012), which is based on samples of legal violations of forestry law by palm companies in Central Kalimantan Province. This report states that 3 of the 17 palm companies found to have committed legal violations are actually GAR companies. The report also reveals that GAR has palm concessions blocks that are located in designated forest zones based on the Central Kalimantan spatial plan. This means that these GAR palm concession blocks are operating in violation of the Central Kalimantan government’s own spatial plan. Consequently, it will be clear that Greenomics Indonesia’s criticisms continue to be highly relevant, namely, even based on the Central Kalimantan spatial plan, GAR still operates palm concession blocks that are located within designated forest areas. TFT and Greenpeace need to take head of these serious legal violations. Clear legal evidence that the bulk of GAR palm concessions in Central Kalimantan Province are located on land that is legally designated as forestland is provided by Government Regulation No. 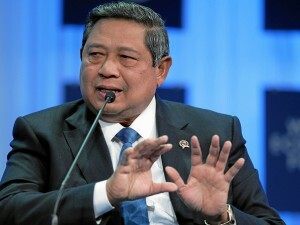 60 of 2012, which was signed by President Susilo Bambang Yudhoyono on 6 July 2012. This Government Regulation proves that Greenomics Indonesia’s criticism of the TFT-GAR Agreement is well-founded and valid from the legal perspective. The President’s signature on this Government Regulation clearly shows that the majority of GAR palm concessions in Central Kalimantan are sited on legally designated forestland and therefore require forestland relinquishment permits. The issuance of this Government Regulation proves beyond doubt that the Greenomics Indonesia criticism of the TFT-GAR Agreement is more than just an exercise in cynicism. One of the proofs that Greenomics Indonesia is not acting cynically in respect of the TFT-GAR Agreement is that fact that following the issuance of Government Regulation No. 60 of 2012, Greenomics Indonesia took the initiative of holding discussions with the President Director of PT Smart Tbk, Daud Dharsono. PT Smart is the GAR subsidiary that manages all of the GAR concessions in Indonesia, including those operating in Central Kalimantan. The said discussions were intended to ascertain the extent to which the GAR concessions can obtain forestland relinquishment permits following the issuance of Government Regulation No. 60. 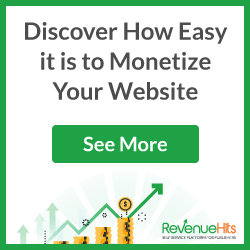 It is found that thanks to Government Regulation No. 60, forestland relinquishment permits can be obtained by GAR in respect of palm concessions located in convertible production forest, by paying compensation for timber that had been cleared without the obtaining of timber clearing permits. Meanwhile, for GAR concessions in permanent production forest, the GAR concessions can obtain forestland relinquishment permits by providing substitute land to be set aside as permanent production forest and paying compensation for timber that had been cleared without the obtaining of timber clearing permits. TFT, Greenpeace and GAR should pay close attention to this Government Regulation bearing in mind that it represents the position of the President of the Republic of Indonesia and is highly relevant to the legal reality that the majority of GAR palm concessions in Central Kalimantan Province continue to be legally designated as forestland. Scott Poynton stated in his interview with REDD-Monitor that “We made maps with Greenpeace and areas were marked ‘Go’ and ‘No-­‐Go’”. This statement shows that TFT and Greenpeace played key roles in determining the areas that could be cleared and those that could not on the GAR concessions. In its report, Greenomics Indonesia investigated three GAR concessions in West Kalimantan Province, and revealed that in the interests of forest conservation, changes were made in the areas designated for clearance so as to avoid clearing natural forest that was still relative intact and connected with relatively extensive forest blocks. From the conservation perspective, such choices were correct. However, these conservation choices nevertheless violated forestry law as the changes in the locations to be cleared were not accompanied by revision of the relevant timber clearing permits (IPK). Under forestry law, the punishment for this is a fine of 10 times that amount of forestry royalties that have been paid to the state. Bearing in mind that TFT and Greenpeace played an instrumental role in determining the “Go” and “No-Go” areas for land clearance, accordingly TFT and Greenpeace have a legal responsibility to ask GAR to pay such a fine. The payment thereof should be seen as proof of a high level of commitment to the GAR forest conservation program and a willingness to transfer land clearance from blocks that have relatively intact forest cover to locations that are considered as no longer capable of supporting the forest conservation program, notwithstanding the obligation to pay a fine. This would set a good example for other palm oil companies operating in Indonesia. However, if the fine were not to be paid by GAR, this would by contrast set a bad precedent. In fact, both TFT and Greenpeace could be seen as promoting violations of forestry law. Accordingly, this legal responsibility to encourage GAR to pay the fine should be discharged as expeditiously as possible. 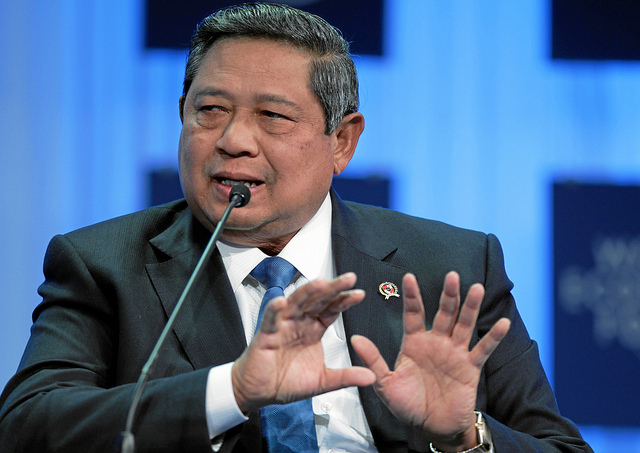 Greenomics Indonesia has already informed Daud Dharsono that it would be more than willing to provide input and technical facilities to hold the company fulfill its duty to pay the fine. This also shows that Greenomics Indonesia is not acting cynically as regards the TFT-GAR Agreement. Greenomics Indonesia has also exposed a number of GAR palm operations that are located within designated forest areas in South Kalimantan Province. The report in question is serious and far from being an exercise in cynicism aimed at the TFT-GAR Agreement. Rather, it represents an attempt by Greenomics Indonesia to remind TFT and Greenpeace that the TFT-GAR Agreement has the potential to give rise to legal action against GAR palm concessions located in designated forest areas. As an update for TFT and Greenpeace, top GAR/PT Smart executive responsible for the management of GAR palm concessions in South Kalimantan Province have been detained by the police and are being processed according to law, primarily in connection with GAR’s operation of palm concessions located on designated forestland. It would be far-fetched indeed to claim that the police moves in this respect are also motivated by cynicism towards the TFT-GAR Agreement. Greenomics Indonesia firmly believes that sustainability must be brought about in line with the relevant legal parameters so as to ensure best practice. Sustainability must not be used as an excuse for failing to respect legal rules and boundaries. In conclusion, Greenomics Indonesia would like to once again express its sincere appreciation to Chris Lang and Scott Poynton for, among other things, discussing the Greenomics Indonesia reports related to the TFT-GAR Agreement in the REDD-Monitor interview. Greenomics Indonesia believes that the GAR Forest Conservation Program has the potential to serve as an excellent example for the development of the palm oil industry in Indonesia, particularly on Borneo Island. But first, the problems related to licensing in Central Kalimantan, the issue of fines in West Kalimantan and the overlapping of GAR palm concessions in South Kalimantan will all need to be resolved as expeditiously as possible. A new briefing by the Rainforest Foundation UK argues against creating an international carbon market to finance REDD. The briefing is released just before a UN meeting in Bangkok, that will discuss potential options for financing REDD. 1. It is highly questionable whether a forest carbon market will reduce the cost of tackling climate change or generate billions for forest protection. 2. The proposed forest carbon market is distorting ‘readiness’ preparations for REDD so that they are more focused on creating a tradable asset than outcomes that are beneficial for forests, forest peoples and biodiversity. 3. The ownership of forest carbon – the underlying asset of the proposed market – is contested and unclear, and its trade is particularly susceptible to fraud. 4. Potential REDD emissions reductions credits may not represent genuine reductions in greenhouse gas emissions, due to inflated baselines and leakage. Trading them in an offset market could lead to increased total global carbon emissions, and prolong existing heavily polluting activities. reducing greenhouse gases in industrialised countries; tackling unsustainable consumption and the drivers of deforestation in the global north and south; and focusing on enablers like equitable land tenure, good governance, full and effective participation and the respect of forest peoples’ rights. London – Using markets to try and keep carbon stored in the world’s forests might be a dangerous mistake, according to a new report published by the Rainforest Foundation UK today, as governments prepare to meet later this week for a new round of negotiations on funding for climate mitigation, including for reducing emissions from deforestation and degradation (‘REDD’). Alternative, more cost-effective, ways of reducing deforestation, and for raising the necessary funds, exist and are viable. “Instead of protecting forests, the use of carbon markets will mostly protect the interests of heavily polluting companies, which would be able to carry on polluting, whilst their payments to offset emissions in poor tropical forest countries will probably be very inefficient and ineffective,” said Simon Counsell, Executive Director of the Rainforest Foundation UK and one of the authors of the report. UN negotiations taking place in Bangkok from August 30th aim to agree on a global mechanism to finance the protection of forests in poor countries. Many governments and the private sector favour the use of carbon markets. The authors compare this potential decision to betting the future of the rainforest on a game of roulette. “With the global carbon markets already in crisis, and after a number of high-profile scams involving forest carbon, choosing the market-based approach would be a very risky bet for protecting forests, when there are viable alternatives on the table”, said Nathaniel Dyer, Policy Advisor for the Rainforest Foundation UK. The report suggests that efforts to restrict imports of illegal timber, improvements in forest governance, and giving recognition to the land rights of people living in the forests, would be more successful. Deforestation and forest degradation are estimated to contribute around 12% of global man-made greenhouse gas emissions. More than 40 national governments are in the process of creating national REDD (reducing emissions from deforestation and forest degradation) strategies. The Rainforest Foundation UK (RFUK) was founded in 1989. The mission of the Rainforest Foundation UK is to support indigenous peoples and traditional populations of the world’s rainforest in their efforts to protect their environment and fulfil their rights to land, life and livelihood. For six centuries, the ancient Maya flourished, with more than a hundred city-states scattered across what is now southern Mexico and northern Central America. Then, in A.D. 695, the collapse of several cities in present day Guatemala marked the start of the Classic Maya's slow decline. Prolonged drought is thought to have played a role, but a study published this week in the journal Geophysical Research Letters adds a new twist: The Maya may have made the droughts worse by clearing away forests for cities and crops, making a naturally drying climate drier. "We're not saying deforestation explains the entire drought, but it does explain a substantial portion of the overall drying that is thought to have occurred," said the study's lead author Benjamin Cook, a climate modeler at Columbia University's Lamont-Doherty Earth Observatory and the NASA Goddard Institute for Space Studies. More than 19 million people were scattered across the Maya empire at its height, between A.D. 250 and A.D. 900. 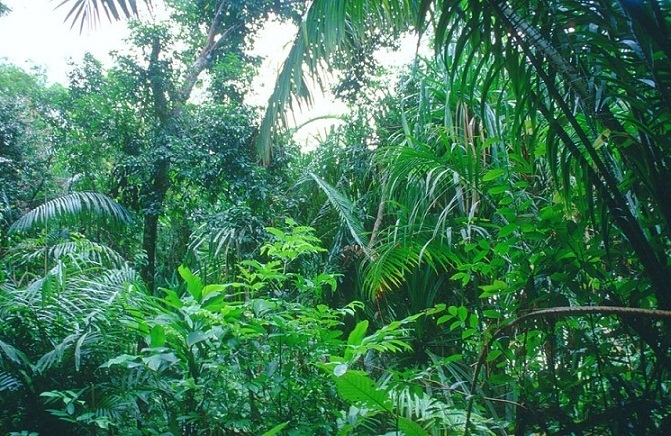 Using population records and other data, the study authors reconstructed the progressive loss of rainforest across their territory as the civilization grew. The researchers ran computer simulations to see how lands newly dominated by crops would have affected climate. In the heavily logged Yucatan peninsula, they found that rainfall would have declined by as much as 15 percent while in other Maya lands, such as southern Mexico, it would have fallen by 5 percent. 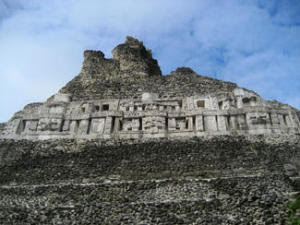 Overall, the researchers attributed 60 percent of the drying estimated at the time of the Maya's peak to deforestation. As crops like corn replace a forest's dark canopy, more sunlight bounces back into space, said Cook. With the ground absorbing less energy from the sun, less water evaporates from the surface, releasing less moisture into the air to form rain-making clouds. "You basically slow things down -- the ability to form clouds and precipitation," he said. The idea that the Maya changed the climate by clearing away jungle, partly causing their demise, was popularized by historian Jared Diamond in his 2005 book Collapse. In the first study to test the hypothesis, climate modeler Robert Oglesby and his colleagues ran a computer simulation of what total deforestation of Maya lands would do to climate. Their results, published in 2010 in the Journal of Geophysical Research, showed that wet season rainfall could fall 15 to 30 percent if all Maya lands were completely cleared of trees. Oglesby, who was not involved in the Cook study, said that Cook's estimate of a 5 to 15 percent reduction in rainfall, though lower than his own, makes sense since Cook's simulation used a realistic tree-clearing scenario. Archeologists attribute a variety of factors to the collapse of the Classic Maya, whose ancestors are still living today in parts of Mexico, Guatemala, Belize, El Salvador and Honduras. In addition to a drying climate in several regions, the city-states struggled with overpopulation, changing trade routes, war and peasant revolts. The Maya cleared the forests to grow corn and other crops, but they also needed the trees for cooking large amounts of lime plaster used in constructing their elaborate cities. Thomas Sever, an archeologist at the University of Alabama, Huntsville, and a co-author of the 2010 deforestation study, said that it would have taken 20 trees to produce a single square meter of cityscape. "When you look at these cities and see all the lime and lime plaster, you understand why they needed to cut down the trees to keep their society going," he said. The Maya also lacked the technology to tap the groundwater several hundred feet beneath them. Their reservoirs and canals were able to store and distribute water when rain plentiful, but when the rain failed, they had nowhere to turn. "By the time of the collapse, every square mile of soil had been turned over," said Sever. Scientists know from studying climate records held in cave formations and lake sediments that the Maya suffered through a series of droughts yet they continue to debate their severity. In a paper earlier this year in Science, researchers Martín Medina-Elizalde and Eelco Rohling of Mexico's Yucatan Center for Scientific Research found that annual rainfall may have fallen as little as 25 percent during the Maya's decline, from about A.D. 800 to A.D. 950. Most of the reduction in rainfall, however, may have occurred during the summer growing season when rain would have been most needed for cultivation and replenishing freshwater storage systems, they added. Today, many of the Maya's abandoned cities are overgrown with jungle, especially on the Yucatan peninsula. Satellite images, however, show that deforestation is happening rapidly elsewhere, including in other regions the Maya once occupied. The study may offer a warning about the consequences: "There's a tremendous amount of change going on in Guatemala," said Oglesby. "They may be that much more vulnerable to a severe drought." Other authors of the study are: Kevin Anchukaitis, Lamont-Doherty; Jed Kaplan, Ecole Polytechnique Federale de Lausanne in Switzerland; Michael Puma, NASA GISS; Max Kelley, NASA GISS and Denis Gueyffier, ONERA, the French Aerospace Lab. As solitary animals, giant pandas have developed a number of ways to communicate those times when they are ready to come into close contact. One means of this communication occurs through scent marking. A recent study by San Diego Zoo Global researchers, collaborating with researchers at the Institute of Zoology, Chinese Academy of Science, indicates that pandas make clear and specific choices about what trees are used for scent marking. 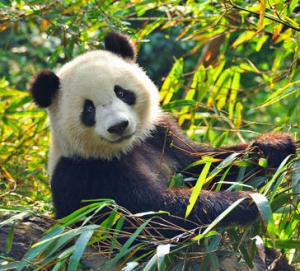 "Variables affecting the selection of scent-marking sites included bark roughnesss, presence of moss on the tree trunk, tree diameter and distance to the trail," said Ron Swaisgood, Ph.D., co-head of San Diego Zoo Global's Giant Panda Conservation Unit. "These choices have clear effects on the scent signal, making it last longer, be detected from further away, or otherwise enhance its communication efficiency. We are not surprised that pandas are efficient with their use of chemo-signals, as mounting evidence suggests that many aspects of giant panda life history are constrained by their energetically poor diet." This study, which was recently published in Animal Behavior, confirms that old-growth forest and other factors like tree type are important for maintaining habitat that will support giant panda conservation. In the face of a changing climate many species must adapt or perish. Ecologists studying evolutionary responses to climate change forecast that cold-blooded tropical species are not as vulnerable to extinction as previously thought. The study, published in the British Ecological Society’s Functional Ecology, considers how fast species can evolve and adapt to compensate for a rise in temperature. The research, carried out at the University of Zurich, was led by Dr Richard Walters, now at Reading University, alongside David Berger now at Uppsala University and Wolf Blanckenhorn, Professor of Evolutionary Ecology at Zurich. 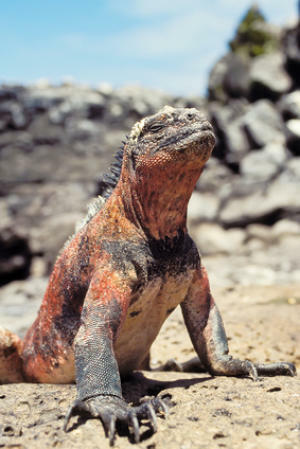 Ectotherms, such as lizards and insects, have evolved a specialist physiology to flourish in a stable tropical environment. Unlike species which live in varied habitats tropical species operate within a narrow range of temperatures, leading to increased dangers if those temperatures change. The team explored the idea that there are also evolutionary advantages for species adapted to warmer environments. The ‘hotter is better’ theory suggests that species which live in high temperatures will have higher fitness, resulting from a shorter generation time. This may allow them to evolve relatively quicker than species in temperate environments. The team sought to directly compare the increased risk of extinction associated with lower genetic variance, owing to temperature specialization, with the lowered risk of extinction associated with a shorter generation time.